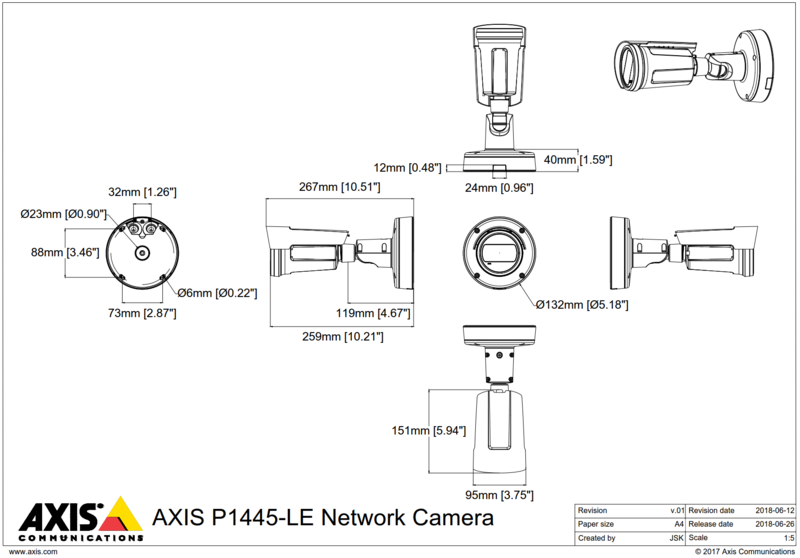 The Axis P1445-LE is a 2 megapixel network bullet camera that is ideal for use in both indoor and outdoor applications; featuring shock detection, IK10 for impact resistance and the ability to withstand temperatures from -30°C to 60°C. The P1445-LE has all of Axis' light compensating features enabling the camera to produce clear, high quality images even under difficult light conditions. Features include: Axis Forensic WDR to provide clarity in scenes where there are both light and dark areas, P-Iris for optimal depth of field, resolutions and image contrast, Axis Lightfinder technology to provide colour images in near darkness and Axis OptimisedIR which fully illuminates completely dark scenes for up to 40 metres. 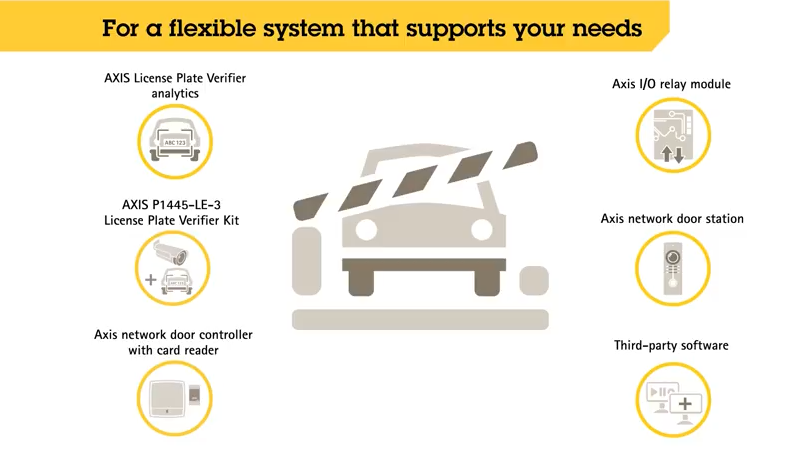 Not only does the camera feature all the above characteristics but has the extra capacity for on-board analytics such as License Plate Analytics. Please note; this camera doesn't include License Plate Analytics, contact us for more details on these analytics.